A more standard design, don't count it out just yet! 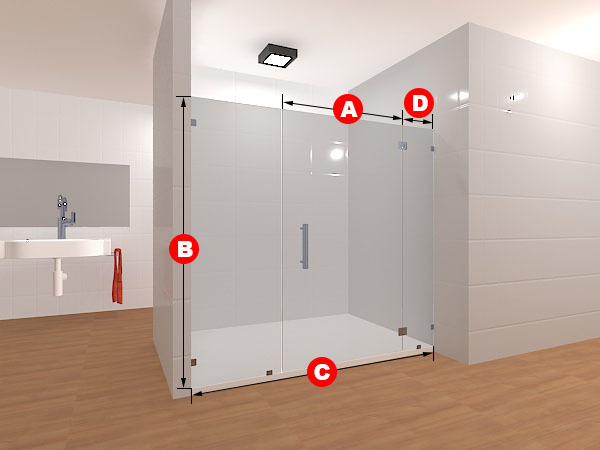 The Inline Layout 17 frameless glass shower door set can be made out of either clear glass or frosted glass, depending on which you prefer. 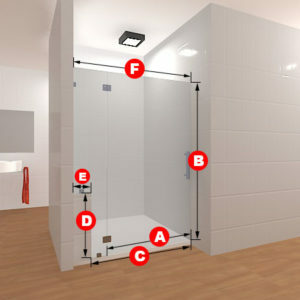 The dimensions can be made to whatever you prefer, in case you have a non-standard shower entrance size. Despite its standard size, the glass is still of high-quality and will hold for years to come. It can swing inwards and outwards. Included in this package are three glass panels, two glass to glass hinges, two glass to floor clamps, four glass to wall clamps and a handle. A more standard design, don’t count it out just yet! 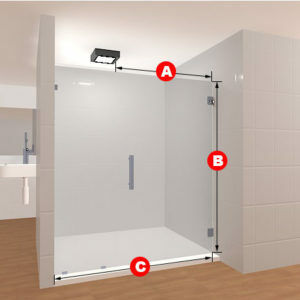 The Inline Layout 17 frameless glass shower door set can be made out of either clear glass or frosted glass, depending on which you prefer. 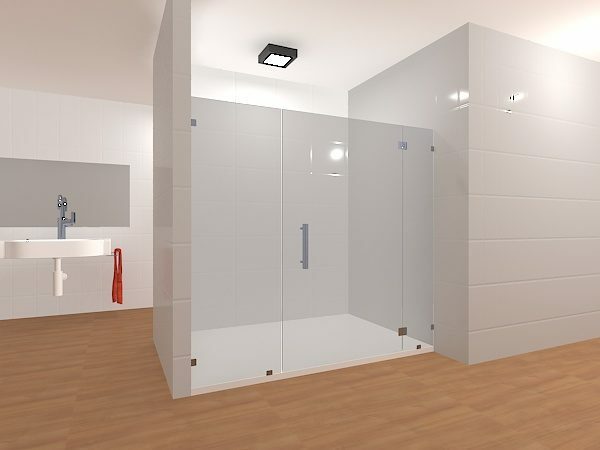 The dimensions can be made to whatever you prefer, in case you have a non-standard shower entrance size. 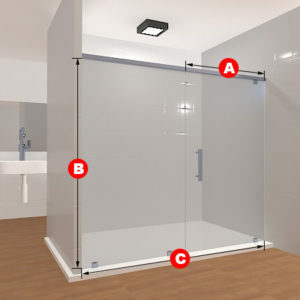 Despite its standard size, the glass is still of high-quality and will hold for years to come. It can swing inwards and outwards.